An affordable VMC utilizing Okuma’s proven bridge-type construction for rigidity that reduces vibrations and Thermo Friendly Concept for thermal stability, these machines provide high accuracy and greater productivity. Equipped with a fast, CAT 40 automatic tool changer, powerful motor and exclusive THINC-OSP control, The GENOS M Series efficiently cuts through materials from aluminum to titanium quickly and accurately. Options include Collision Avoidance System and Machining Navi. 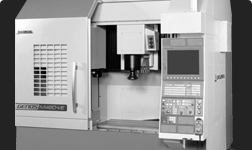 Compact and productive vertical machining center. 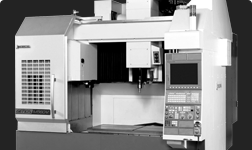 Rigid and versatile vertical machining center.